NPQ reported this past summer on the consequences and upshot of the Supreme Court decision that upheld the constitutionality of the sedative midazolam in the execution drug cocktail despite alarming cases in Oklahoma and Arizona where inmates took hours to die. During that time, as the Court waited to rule on the case, several states, including Pennsylvania under Governor Tom Wolf, instituted a temporary moratorium on the death penalty. After the ruling, some states, Texas and Missouri among them, resumed executions in the fall, but others were more hesitant. On Monday, December 21st, although Pennsylvania’s state Supreme Court did not rule on the moratorium, it did uphold Wolf’s authority to grant temporary reprieves and postpone executions. Back in February, Wolf granted a reprieve for death row inmate Terry Williams, who was convicted in 1984 of beating a man to death with a tire iron. 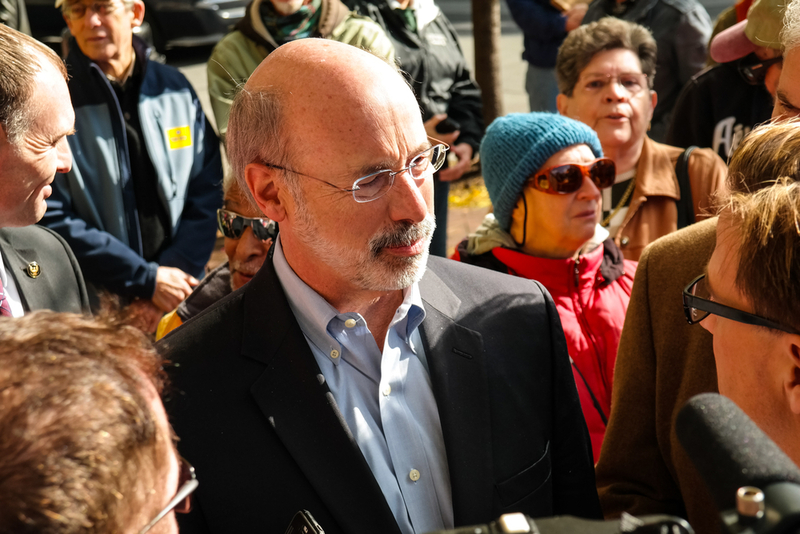 Wolf challenged that as the governor, he has the constitutional authority to grant reprieves to any death row inmates in the future until a task force thoroughly reviewed the state’s death penalty practices and renders a report. On Monday, the five justices unanimously agreed to uphold the governor’s authority to grant reprieves and postpone executions until this report is released. The ruling was in response to the challenge from Philadelphia Assistant District Attorney Seth Williams to the governor’s constitutional authority to indefinitely postpone executions. The ruling indicates that the governor does not need to set a date when granting reprieves, staying within the limits of his authority.